Sometimes it’s more convenient to manage the network from text user interface. In this article I’d like to share a curses-based tool named NetworkManager-tui. : by nm-connection-editor and nm-applet in a non-graphical environment. I won’t explain much about the usage of nmcli in this article. 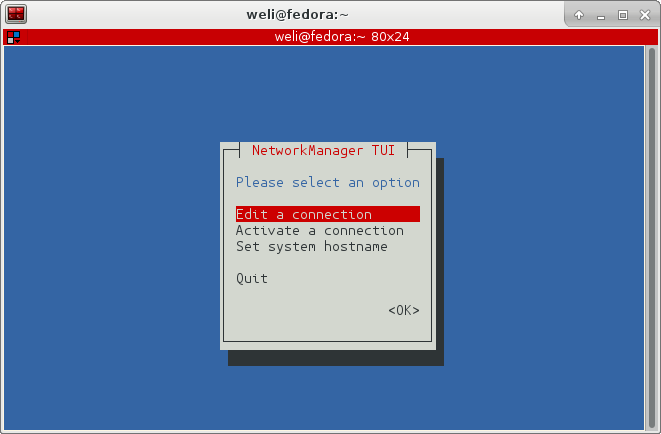 If you need to manage the network via command line, please check the Fedora document for nmcli3.